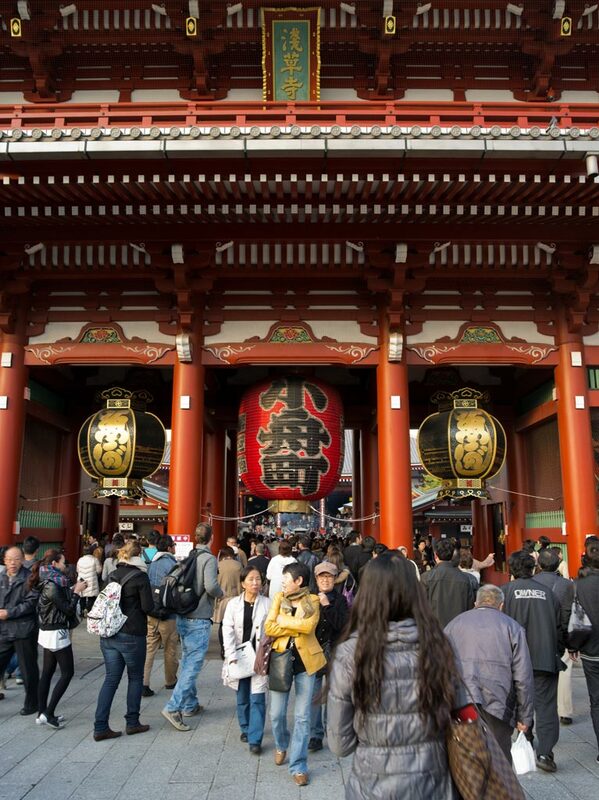 One of the largest temples in Japan is in Asakusa in Tokyo. Sensoji (or Senso Temple) is dedicated to Kannon, the Bodhisattva of compassion. The grounds are always packed with crowds of visitors, of worshippers. The Japanese come to wish or to offer thanks for wishes granted. The wishes that are carried here reflect the facets of life–the gift of a child, success in an exam, a new job, cures for illness, hopes for prosperity, or solace for the deceased. No matter the wish, no matter the burden, the atmosphere is always like a festival. Click on the image for a larger view.